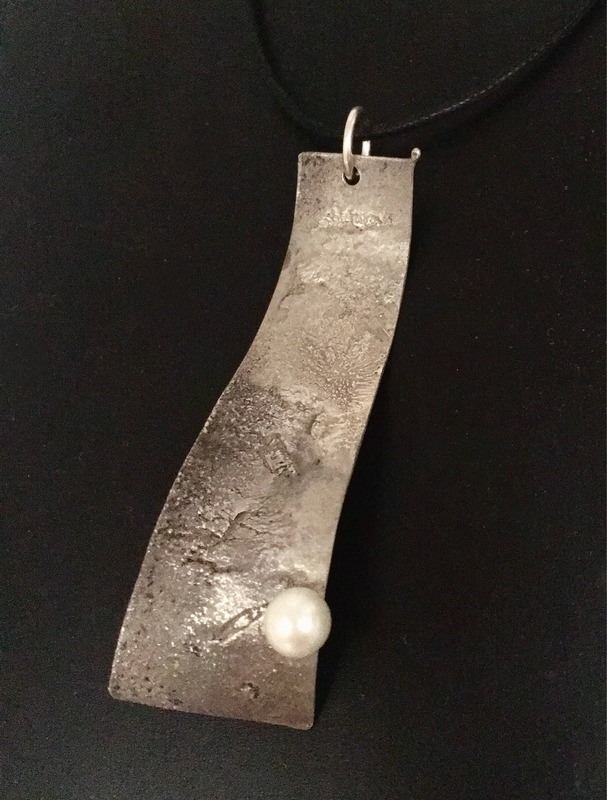 Casual pendant features reticulated Sterling Silver formed in an asymmetric design, featuring an approx. 7mm cultured pearl. Suspended by a Sterling Silver loop from a black cotton neckcord. Total length approx. 3”.